If you've ordered a custom wall display lately, you've probably been asked to sign one of our new Print Authorization Forms. 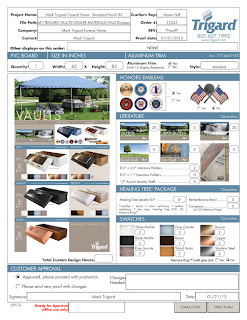 These forms give you and your customer a final opportunity to check all of the details of the custom display before the Trigard print team starts production. The form includes your quantity, display size, final proof, and details about the swatches, emblems and other three-dimensional items that will be affixed to the display. Returning the form is easy. If you are on a computer (not a smartphone), you can sign and date electronically, then hit the button to email it back to us. Or you can save a copy of the PDF to your computer and email it as an attachment. If all else fails, you can print it out and fax it back to us. 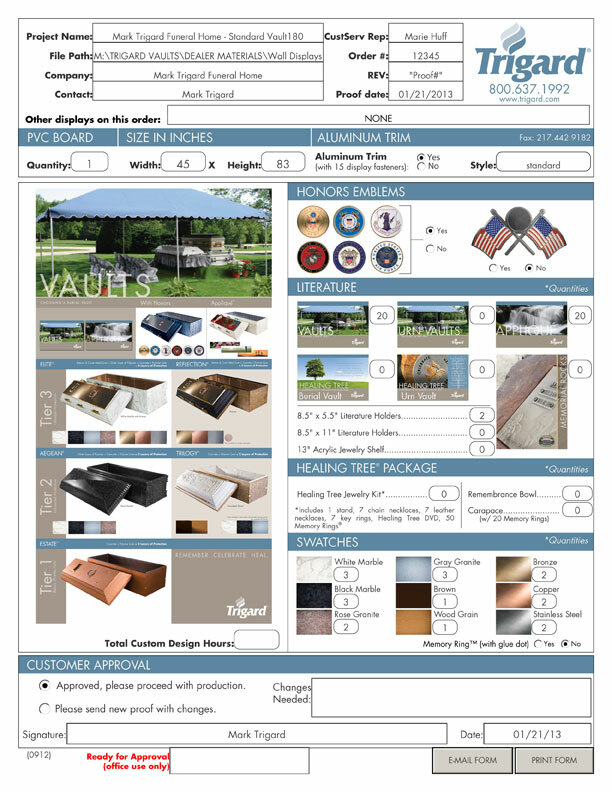 The Print Authorization Form gives you all of your order details in one place - and gives our team specific instructions about how you'd like your display to look. Start your custom display today. Call Customer Service at 800.637.1992. Do you use an iPad®?